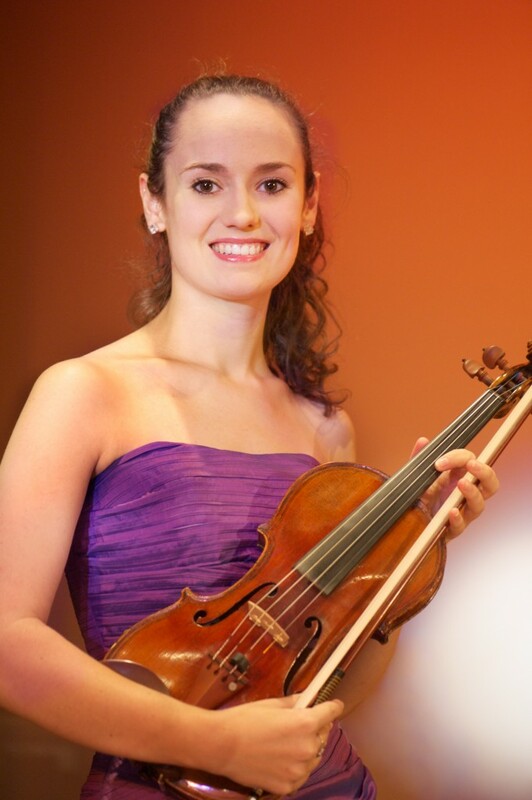 Mikayla began studying violin at age 6 with Shelley Rich and Janie Bionaz at the Northern Arizona Preparatory School. From the beginning, Mikayla (and her violin) loved playing with other musicians and at age 10, she joined the Flagstaff Junior Symphony as concertmaster. After moving back to Canada, Mikayla studied with Sandra Stark and Mel Martin and played first violin in the London Youth Symphony. As a high school student, Mikayla received scholarships to attend the Interlochen Centre for the Arts and Kincardine Chamber Music Program and was on staff at the National Music Camp of Canada. At university, Mikayla played in both the symphony and chamber orchestras and in the pit for the annual opera production. Mikayla moved to Australia the day after she graduated from the Don Wright Faculty of Music, Western University Canada and immediately joined the Gold Coast Philharmonic. Mikayla is currently studying anatomy at Bond University and aspires to become a physiotherapist with a focus on helping musicians avoid repetitive strain injuries and help them play beautiful music for their entire lives. De Beriot’s Scene de Ballet is a very special piece to Mikayla because it combines her two passions; music and movement. She hopes that this performance will encourage you to dance a little in your seat. I cannot choose just one, I have had four violin teachers who have made me the musician I am today: Shelley Rich, Janie Bionez, Sandra Stark and Mel Martin. I have dabbled in the worlds of voice, piano,guitar, cello, clarinet, flute and percussion – you have to love instrumental methods classes at university! I graduated with an Honours Bachelor of Musical Arts from Western University, Canada in June and am currently a part-time student at Bond University. My dream is to be a Physiotherapist with a focus on helping musicians avoid repetitive strain injuries. I cannot imagine my life without playing music and I want to help other musicians continue to play for their entire lives. I also coach gymnastics at the Gold Coast Gymnastics Club and teach Zumba and Step fitness classes at Bond and teach violin lessons. As a Suzuki student, I began playing with other string players as soon as I learned Twinkle Twinkle Little Star. I have been a member of an orchestra for the past 12 years beginning at age 10 when I was the concertmaster for the Flagstaff Junior Symphony in Arizona. When our family moved back to Canada, I became part of the London Youth Symphony from age 13-17. I attended music camps every summer including: The Colorado Suzuki Institute, The National Music Camp of Canada, and The Interlochen Arts Camp. As a high school student, I began playing with the Western University Symphony Orchestra and continued as a first violinist until the end of my undergraduate degree. I was also a member of their chamber orchestra as well as the pit orchestra for the yearly opera performance. I am a member of the Bond University Cheerleading team. I also love all kinds of dance, singing in the car and drawing in my sketchbook with charcoal. I love being a small part of something much bigger than I am and an orchestra is the perfect opportunity for this. Being a member of the GCPO makes me feel like a part of the Gold Coast community. Pop, techno and Zumba music – all have a great beat and are fun to move to! I enjoyed performing Haydn’s London Symphony (No. 104) as part of our Primavera concert and of course, de Beriot’s Scene de Ballet.